This statistic shows the results of a survey conducted in the United States in March 2017, by community. U.S. adults were asked if they would be willing to use an app to track health metrics such as blood pressure, body heat and blood glucose. 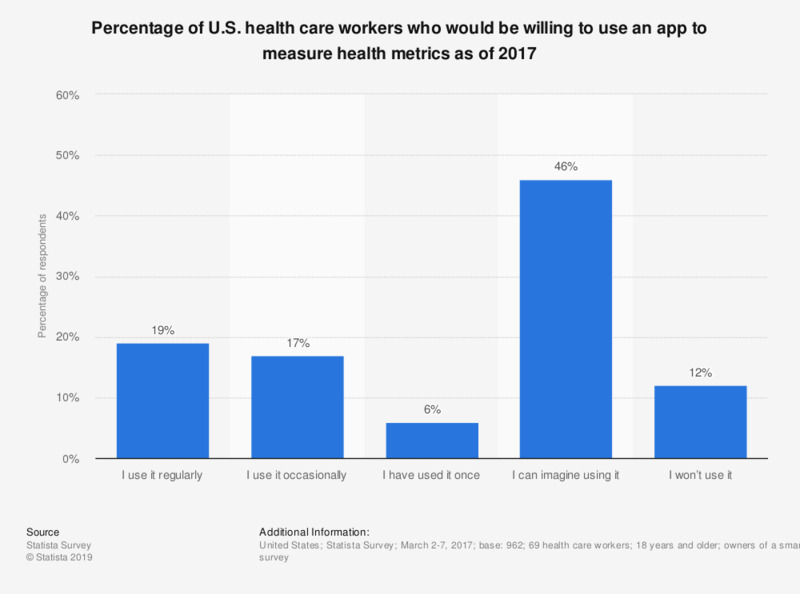 According to the survey, 19 percent of U.S. health care workers regularly use an app to track health metrics. Original question: "The following is a selection of different e-health apps for smartphones and tablets. Could you imagine using any of them? [ answers for: apps to measure other health metrics (e.g. pulse and blood pressure, body heat, blood glucose, etc. ), for instance using the camera of your smartphone]"